Ukraine needs $2 billion to buy gas for the winter heating season, Finance Minister Oleksandr Shlapak said at International Investment Conference entitled SP Advisors “A Fresh Look at Ukraine” held in Kyiv on Tuesday. "I am sure we do not [actually] need to buy more gas - we have to manage with the gas stocks we have,” Shlapak said. “We have opened all doors to ensure there are gas supplies for industry, while the needs of households can be met by means of our own gas. But everyone wants additional guarantees, including Naftogaz Ukraine. “We are now considering purchasing seven billion cubic meters of gas by the end of the heating season. Multiply this amount by a price of around $400, and it will total $2 billion. Currently, we would like to ensure the allocation of at least $1 billion." Shlapak said the government is seeking funds from various sources, including the European Bank of Reconstruction and Development, as well as other financial institutions. "We’re in discussions with everyone out there. It’s too early to talk about anything specific." Previously, the outgoing President of the European Commission Jose Manuel Barroso and German Chancellor Angela Merkel raised the issue of raising $1 billion for Ukraine, without however specifying the lending conditions. 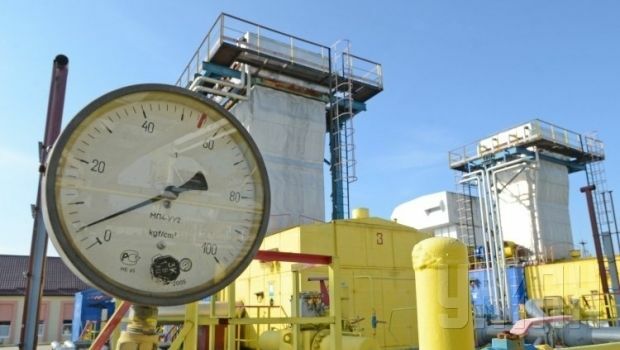 During recent gas talks between Ukraine and Russia together with the European Commission the "winter" gas price for Ukraine was set at $385 per thousand cubic meters. As was reported by UNIAN yesterday, the German parliament the Bundestag gave assurances that Europe would help Ukraine pay for Russian gas.